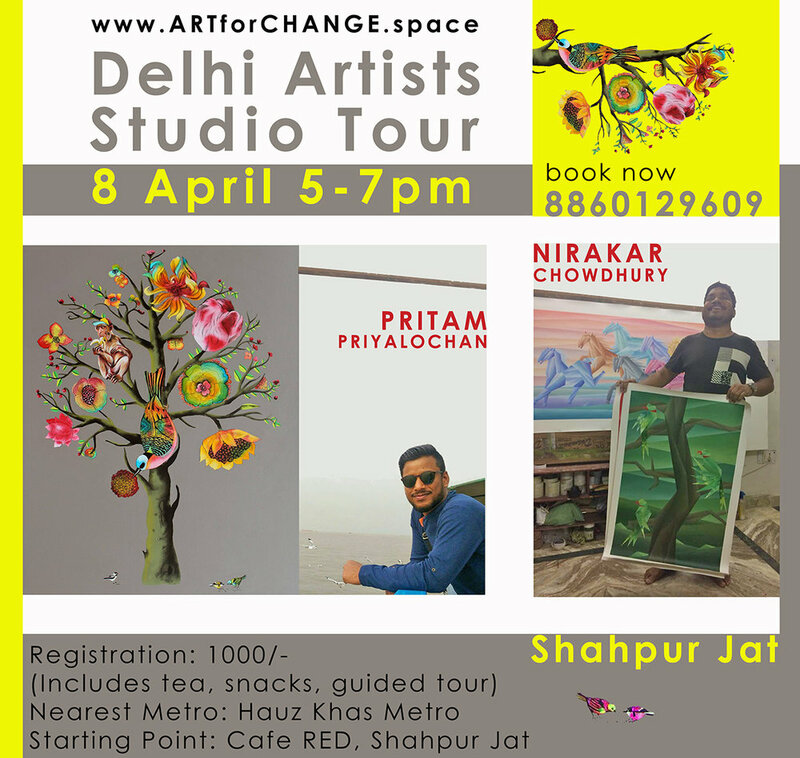 Once a month Art for Change organizes the Delhi Studio Tour. 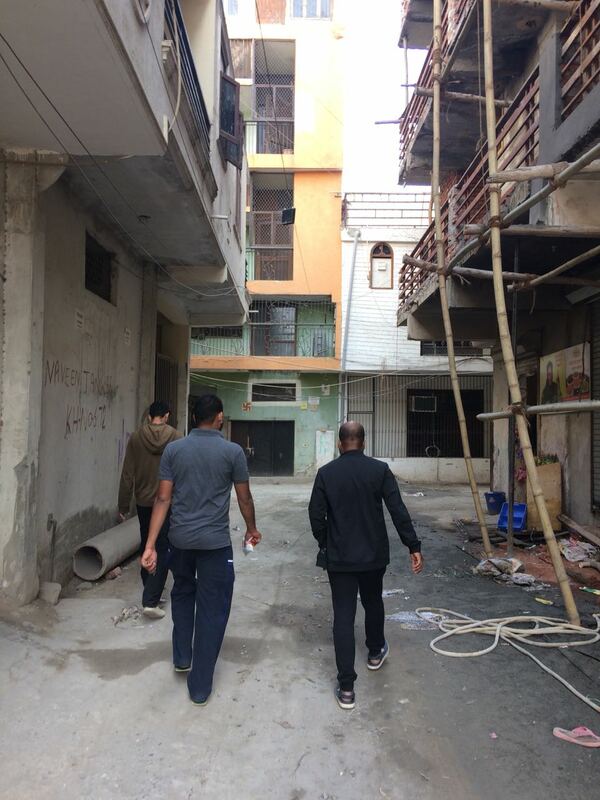 Each tour takes you into New Delhi's bylanes to visit the hidden-away studios of 2-3 young, highly skilled contemporary Indian artists to see their creative process up close, hear the stories behind their art, and have a chance to purchase directly from the artist. Each tour ends with a cup of coffee and light refreshment. Tours are limited to 5-8 people so sign up to reserve your spot! 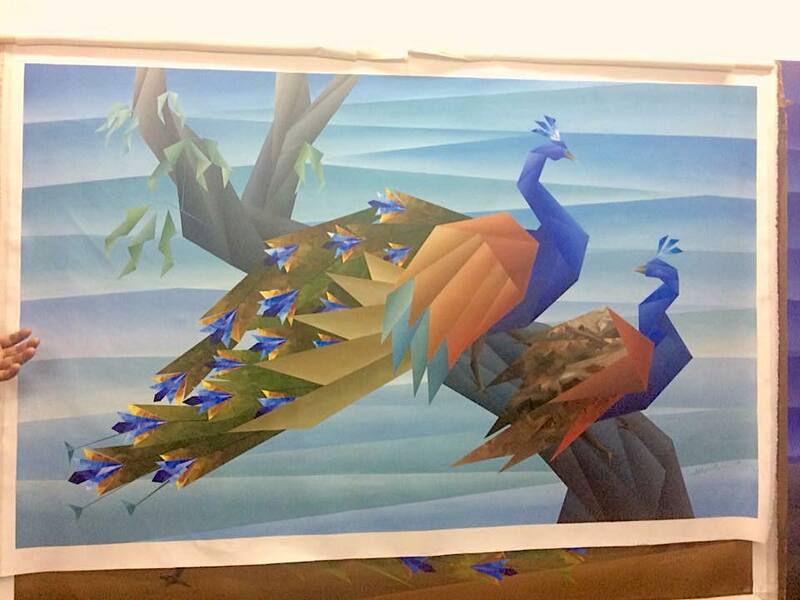 "As a visitor to India, the Delhi Studio Tour helped me see that art crosses all barriers! I learned so much, and appreciated the invitation into the sacred space offered by the artists’ perspectives. I highly recommend the tour!" - Trisha, USA. Next Tour: Shahpur Jat - Artist: Prittam Priyalochan! Thank you! We will contact you about payment options and other details. Sign up early for a spot on our next Delhi Artist Studio Tour and come on a journey into the by-lanes of the city. 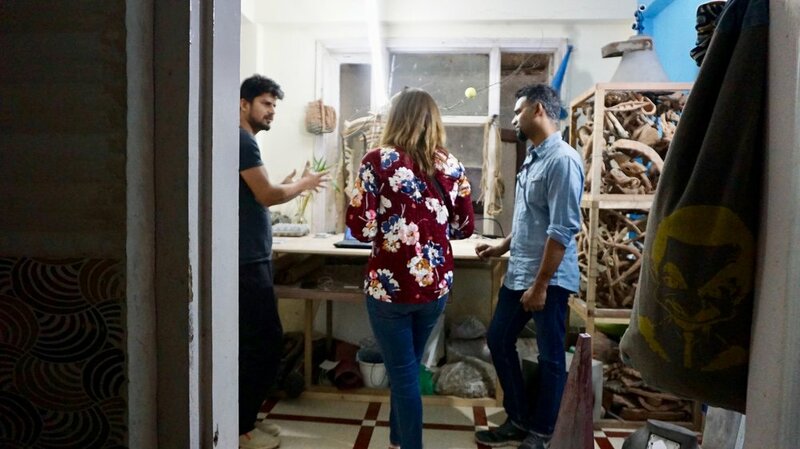 Find tucked away studios hidden amidst the urban sprawl, get opportunities to interact with Indian contemporary artists, and grow in your appreciation of the visual arts. Past tours have included neighborhoods like Shahpur Jat, Chattarpur, Ghitorni, and Garhi Artist Village. Join us Sunday, Jan 20, 2019, from 4-5pm at Shahpur Jat, for an exclusive insider experience of Delhi's art world as we interact with the art and life of the up-and-coming contemporary artist Prittam Priyalochan. Meet the artist, see his creative process up close, hear the stories behind his work! 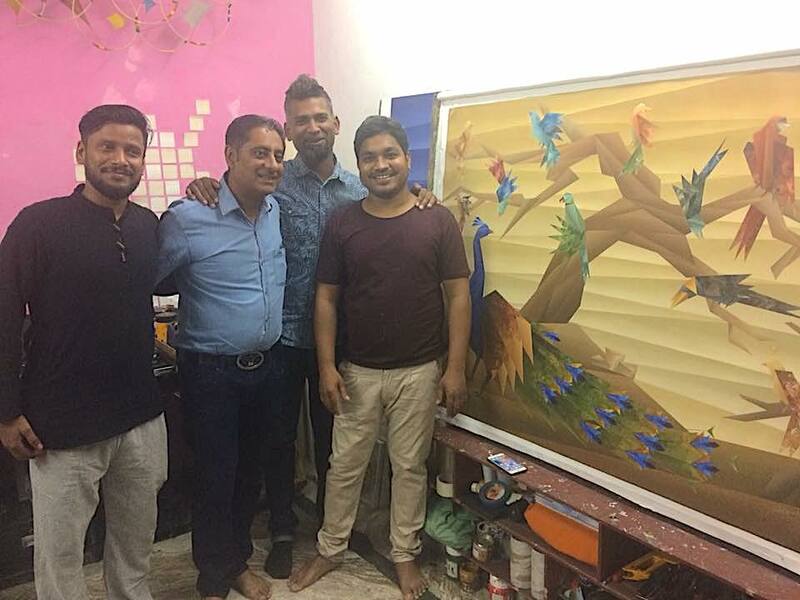 See a preview of his work at Prittam Priyalochan. Meet the tour guide Joshua John at Cafe Red, Shahpur Jat. WhatsApp him to book your spot 9811774371. This tour is free but slots are limited so hurry!! !